Progression 1: A passes to B. 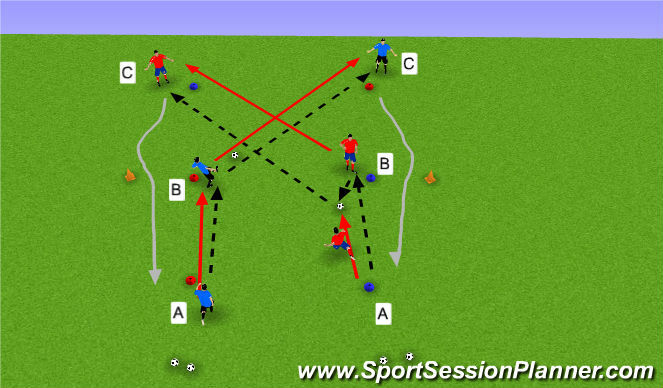 B passes to C. C dribble returns to opposite starting position. Follow your pass. Progression 3: A passes to B. B sets A. A players long to C. C wall passes with B. Attacking team (RED) plays 3v1. Resting defenders (BLUE) at center cone. 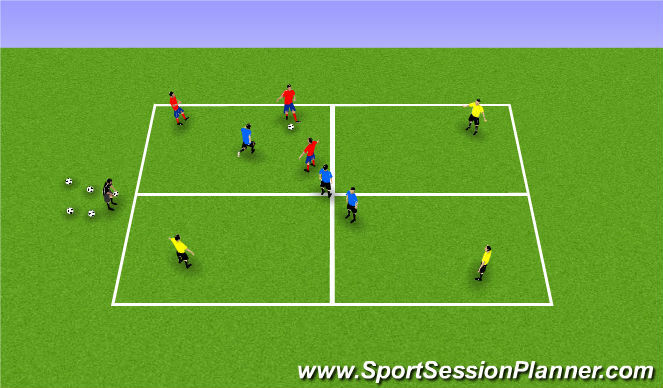 Transition team (YELLOW) players in each empty quadrant. 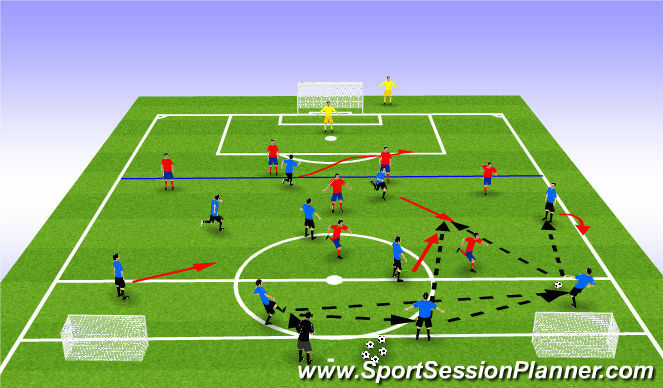 After 5 passes attacking team can play to any transition team player to earn a point. The rest of the transition team joins that quadrant and new defender enters area after previous defender returns to center. If defender wins the ball, she can play to any transition team player. Other two previous defenders find new quadrant to become transition team. 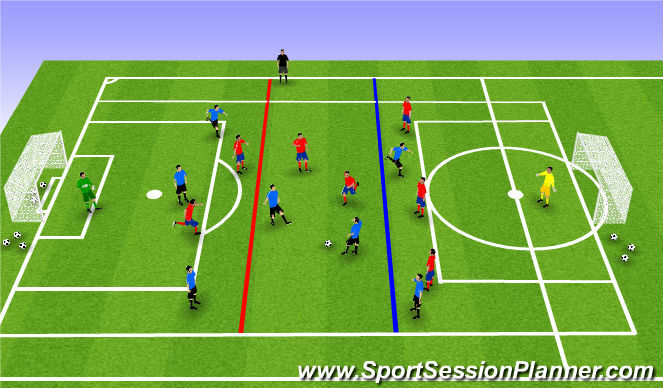 Previous attacking team sends one player to defender and other two players to center cones. Transition! | Defensive communcation | Attack shape (find a clear line of sight to bal) | Passing technique | Defensive work rate! Attacking team in 4-4-2. Defending team plays 4-1-2. Play starts from coach or extra player. Attacking team goes to big goal. Defensive team plays to counter goals. Include restraining line for offside. Blue team plays 3-1-3. Red team plays 3-2-2.